Fred. Olsen Cruise Lines’ 804-guest Black Watch has commenced its 2019/20 cruise season from the Port of Liverpool, with a 28-night ‘Discovering the Adriatic & Dalmatian Coast’ voyage, which set sail on 13th April 2019. 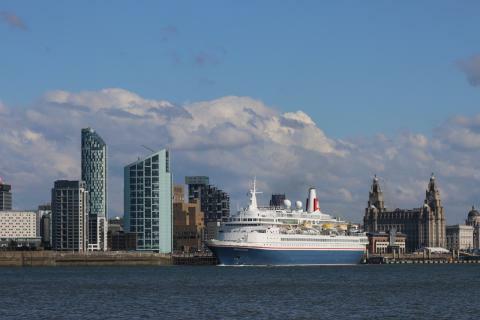 Black Watch will be operating a record 22 cruises from Liverpool in 2019/20, between April 2019 and March 2020 – an increase on the 18 departures offered in 2018 – giving holidaymakers in the North West the choice of a host of exciting destinations, including Norway, Iceland, Spain, Portugal, Greenland and the Baltic. “This year, our Liverpool cruise season is our most extensive and ambitious yet, which just goes to show the passion that people in and around the city, and across the North West, have for travel, and cruise in particular. - 13-night W1911 ‘Crossing the Arctic Circle with Midnight Sun’ cruise (adult-only), departing on 7th June 2019.Prices start from £1,599 per person. - 15-night W1915 ‘Exploring the Beautiful Baltic’ cruise, departing on 15th July 2019.Prices start from £1,999 per person, based on an Ocean View Room. - Eight-night W1917 ‘Scotland & the Edinburgh Military Tattoo’ cruise, departing on 13th August 2019.Prices start from £1,099 per person, based on an Ocean View Room. - Eight-night W1919 ‘Fjords, Mountains & Glaciers’ cruise (adult-only), departing on 26th August 2019.Prices start from £1,099 per person. All prices are based on two adults sharing a twin-bedded Interior Room, unless stated otherwise, and include accommodation, all meals and entertainment on board, and port taxes. Guests booking a Fred. 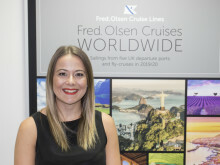 Olsen cruise can enjoy extra peace of mind with the company’s new ‘Brexit Promise’, which means that, if a cruise is cancelled as a direct result of the UK leaving the European Union, Fred. Olsen will give guests a full refund on that sailing, PLUS a free cruise. In 2019/20, Fred. Olsen’s fleet of four smaller, more intimately-sized ocean ships – Balmoral, Braemar, Boudicca and Black Watch – will be visiting no fewer than 219 destinations in 75 countries around the globe, covering 79 areas of scenic cruising.